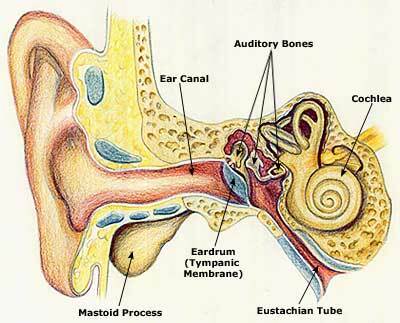 Human ear is divided into three sections - outer ear, middle ear and the inner ear. Ear infection is often the reason to visit an ear specialist. There are two main types of ear infection - otitis media and otitis externa. Otitis media is the infection of the middle ear, found mainly among infants and children. Otitis externa also known as swimmer’s ear is the infection of the external ear. Ear infection is more commonly seen in boys and in winter season. Ear infection is not contagious. The ear is actually quite a complex mechanism, comprising of not just the outer, middle and inner ear, but also the ear drum, the hearing nerve and the Eustachian tubes. The pressure of air in the middle ear needs to be at the same level as atmospheric pressure outside of the ear in order to allow proper functioning of the ears. Otitis media infections are usually caused as a result of swelling or inflammation of the Eustachian tube, caused by a severe cold, throat infections, or even due to an allergic reaction that causes an accumulation of fluid in the middle ear. If an infection sets in here it could cause the eardrum to get inflamed and there may be an accumulation of pus and mucus behind the ear drum. This can be a particularly serious problem and if neglected the pressure in the middle ear may increase to the extent that it can cause the eardrum to burst, resulting a loss of hearing and drainage of pus and blood from the ear. Otitis externa also known as swimmers ear infection on the other hand refers to an infection that sets in, in the outer ear canal, which connects from the eardrum to the outside of your head. This condition often develops due to water residue in the ear or moisture in the ear, often the result of swimming or simply from bathing. This moist environment creates favorable conditions for both fungal and bacterial growth. Infections of the outer ear can also be caused by damage to the thin skin layer that lines the ear canal. This usually occurs as a result of attempting to clean the ears with the fingers, cotton swabs or other objects. Ear infections are extremely common and almost all of us would have experienced a ear infection at some point, at least during childhood. Ear infections are not restricted to babies, toddlers, or small children, and can affect any of us, but are most prevalent among kids. Ear infections in toddlers and babies or even in children are generally treated with ear tube and anti biotic treatments. While in some scenarios such treatments prove to be very effective, in others they are not really. This is because antibiotics are only effective against bacterial infections. If the source of infection is of a viral nature or caused by fungi, then antibiotics will have effect, at least no positive effect. Instead antibiotics could weaken immunity and eliminate or reduce the presence of healthy bacteria that are necessary to maintain a balance. In addition, frequent and over reliance on antibiotics can create dependence and also bacterial resistance, making infections even harder to treat and rendering drugs ineffective. One would always seek methods on how to treat an ear infection naturally without antibiotics; whether adult or child. It is necessary to remember that otitis externa, if treated in the initial stages, it could be managed at home itself, with natural treatments such as the popular garlic oil, ear infection home remedy and over the counter ear drops. However if the condition worsens or if there is an infection of the middle ear, it would require medical attention and treatment. This would also involve administering of antibiotic drugs. Earaches and a blocked ear are common problems and in most cases require no medical attention. At most times some simple home remedies will help to treat the condition. Mild ear infections may at times be responsible for the symptoms of earaches, and in the early stages can be quite effectively treated with home remedies. If treated inappropriately or with ineffective remedies however the condition may worsen significantly posing some serious risks to the well being of the patient. For this reason parents are advised to get a baby to the doctor rather than rely on a baby ear infection home remedy. Parents often choose to use a ear infection home remedy like vinegar for infants, toddlers and babies. While this may not always be advisable, in mild cases of a ear infection it can help considerably. Making a self diagnosis is not very easy and would in fact be near impossible for most of us. This is one of the most important reasons for which you need to visit a doctor. At least so that treatment can begin very swiftly. Very often a ear infection home remedy for children could include the use of a sweet oil or ear candelling. Irrespective of the nature of the ear infection or its severity, medical treatment should not be neglected; especially if there is any recurrence of ear infections or if the ear infection is a persistent one. A blocked ear or impaired hearing also needs to be treated a lot more seriously. Other possible complications from an ear infection could include delayed language development when present in young children, a spread of the infection to the brain or the formation of abscesses in the throat. Ear infection symptoms set in rather rapidly and may vary in children and adults. Earaches and ear pain or blockage and other discomfort may be cause for concern but are not necessarily the result of some serious ear infection. At times such problems may simply be caused by a buildup of ear wax or due to the entry and accumulation of some water in the ear. These situations can easily be remedied at home with some simple home treatments. Ear infections on the other hand, although often mild, could at times be serious, which is why medical treatment is advisable. The symptoms may not always be easy to recognize, but it would help for you to be aware of the warning signs of a ear infection. When dealing with ear infections in children the symptoms of otitis media could include pain in the ear, which is particularly pronounced when lying down. You may observe the child or baby tugging or pulling at the ear and crying a lot more than usual. The infection will cause significant discomfort and irritability making it difficult to sleep. The child may experience difficulty hearing, which would be observable in the diminished response to sounds. There may also be some loss of balance and headaches, possibly accompanied by a fever. You may also notice that there is a lack of appetite and the child could also experience diarrhea and vomiting. Very often there may also be a visible drainage of fluid from the ear. • Inflammation in the ear. These symptoms and signs of ear infections could indicate a variety of conditions and the only way to accurately ascertain the cause would be through a visit to the doctor for a thorough diagnosis. If the symptoms last for over a day in a child you should seek medical attention. Severe ear pain or discharge from the ear should also be treated very seriously. In adults the presence of ear pain or discharge should not be neglected and prompt medical attention should be sought. An inner ear infection with dizziness should also be treated immediately. Ear infection treatment in mild cases may be attempted at home with home remedies and natural cures, but if there is no sign of improvement within a day or two, it would be necessary to consult with a doctor. The main cause of otitis media is blockage of the Eustachian tube due to cold, allergy or some foreign particles in the ear. This causes fluid to build up in the middle ear. This fluid can cause swelling of the ear drum if infected by the virus. If adenoid glands interfere with the Eustachian tube it will cause otitis media. Weak immune system will not cure the infection. If you suffer from a persistent cough and cold or experience frequent or persistent upper respiratory tract infections then there is a high risk of developing a middle ear infection. Bottle fed infants are also at a higher risk of developing middle ear infections as compared to breast fed babies. Those who reside in areas with very low temperatures and at high altitudes are also susceptible to this type of ear infection. Otitis externa is caused by the bacteria or fungi. Moist and wet conditions are favorable for the growth of these bacteria or fungi. Frequent swimming or exposure to water increases the chances of infection. Skin allergies can also cause otitis externa. An infection of the outer ear is more often than not caused by bacteria that are found commonly in water and soil, but it may also be caused by a fungal infection and at times by a virus. While your ear’s natural defenses normally suffice to fend off such infections, there are certain circumstances under which you are vulnerable to infection. The presence of moisture in the ear for prolonged periods of time is probably the biggest risk factor for an otitis externa infection. Indulging in activities that cause heavy perspiration, water trapped in the ears from swimming or bathing and extremely humid weather conditions can all significantly increase the risk of infection. Many people tend to be careless with ear care and in an effort to keep the ears clean use objects like hairpins that are not meant for the purpose. Even the use of regular cotton swabs and listening devices like earphones or hearing aids can cause small lesions or breaks in the skin that serve as entry points for bacterial growth. Hair products or jewellery made with cheap and inferior quality metals can trigger skin reactions and give rise to conditions that may favor bacterial growth. Besides all these some other factors like nutritional deficiency, allergy and other infections may also cause ear infection. Put few drops of garlic juice into the infected ear. Use blow dryer from about 12 to 15 inches from your head, this will remove any water trapped in the Eustachian tube. Put some olive oil on the warm spoon; put 2 to 3 drops of this in each ear. Put few drops of lobelia extract into the infected ear and rub it gently. Wash your ear using colloidal silver, it is a natural antibiotic. Slightly warm one teaspoon of juice of the mango leaf and put it into the infected ear drop by drop. You could also use some hydrogen peroxide for the ears, however care should be taken not to use it for children. Avoid going in front of any one smoking because cigarette smoke can block Eustachian tubes. Avoid accompanying people suffering from cold. Wash your hands regularly. Avoid touching nose and eyes.